In this page I will be happy to share News about Argentinean and Buenos Aires Contemporary Art (as Classics too!). Argentina and specifically Buenos Aires is always at the top of Art in Latin America, this is the artiest city of the area. In addition to the complete collections at Malba (Museum of Latin American Art of Buenos Aires) or the MAMBA (Museum of Modern Art of Buenos Aires) or the Fine Arts Museum, we have wonderful collections and exhibitions at Proa Fundation or Fortabat Museum. The street art is also quite relevant and many times supported by the City or sponsored as a manner of impulse Culture. Buenos Aires rooms around 5000 monuments and statues of different styles, and although an usual complain, they are very well preserved and maintained. The wonderful Teatro Colon Opera House celebrated its first 110 years with a play of the first Opera done there: Aida, from Giuseppe Verdi. Originally played by Enrico Caruso, this season the staff is a local and international team, one more star for this impressive attraction for any private tour in Buenos Aires. 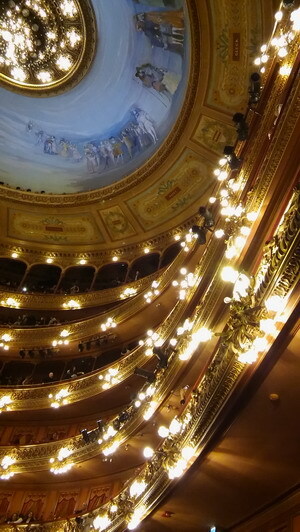 The Teatro Colon Opera House celebrated 110 years of its opening. In 1908 the date chosen was the same day of the Homeland: May 25th and it was world class event, with the starring of Enrico Caruso. "The Teatro Colon is considered the largest opera house of the word, but much more important: In terms of acoustic, is the best place of the world for listening an opera and the second one for a concert." With a luxurious design, its ornamentation combines the best marbles (carrara, siena), the top steinglases (Gaudin) and gold leaf. The luxury is anyway submitted to acoustics and the combination of materials (hard and soft ones) goes changing according the floors to manage the echoes. There are other secret like little boxes under each of the seats, driving the whole venue’s floor into a resonance box. These and many other secrets are able to be discovered in a tour to the Teatro Colon and in my private tours in Buenos Aires. Yesterday the production shown again all the skills of the Teatro Colon manufacturing area, this opera house is one of the few in the world completely equipped to manufacture all the elements for its shows: From shoes and costumes to elaborated scenographies. 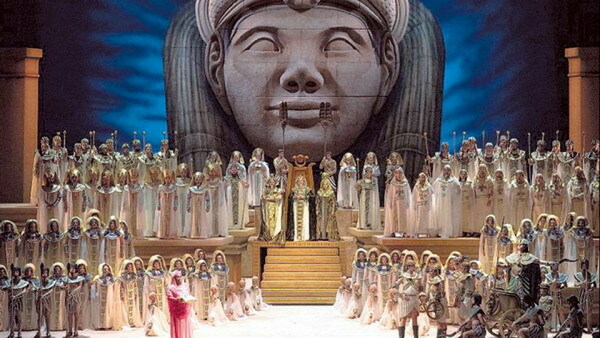 In the Aida of this season participates the three (yes three!) Stable choruses of the teather. The staging and direction are also local. Directed by Carlos Vieu, the local staff is Mónica Ferracani (Aida), Guadalupe Barrientos (Amneris) y Enrique Folger (Radamés) and the international Latonia Moore (Aida), Nadia Kristeva (Amneris) y Riccardo Massi (Radamés). Teatro Colon as in one of my private tours in Buenos Aires, as visiting it by your own is a not to miss place in this amazing city. But her beginnings, her origins and her ascent in the world of the ballet are full of adventure and perseverance, in addition it becomes evident that Ludmila Pagliero is a gifted one. "All my dreams as a dancer were born in this theater"
Unluckily the Teatro Colon was not offering vacancies since many years ago, but Ludmila was offered to dance for the Teatro Municipal, the most important teather of Chile, so there she was, far from home, no family (her parents cannot afford the staying there) and she become the soloist at 17. She traveled to New York for the New York International Ballet Competition, she prepared the test in a month a won the Silver Medal and the Igor Youskevitch award which implies a year of contract at the American Ballet Theatre. Anyway she decided to participate at the contest for the Paris Opera Ballet, with the intention of “To step once in my life the Paris Opera”. Things were not easy, it was mandatory to prepare a scripted variation of Swan Lake, but she never received the video, so a good friend got a ballet dancer who shown her that variation in 15 minutes, that was all. There were two days before the competition, the first day Ludmila only found a slippery floor studio, and the following day it would be holidays, so no chances of practicing. Thanks of the good will of Laetitia Pujol (First dancer of the Company) she slipped into the Paris Opera and got precious 30 minutes for practicing. She kill the stress repeating to herself that “"No one in this place knows me, everyone will forget me in the next few days" It was not enough, she was rejected, but later they called Ludmila for a replacement and she never left Paris. In 2015 she was awarded as “Etoile”, only 10 dancers of the 150 of the Company have that category. “A good dancer is a dancer with a lot of passion; A passion that leads him to surrender, in the search to improve and discover new things always, even in works he had already danced fifty times and continues doing them with the energy and the desire of the first time. It request passion as in life. I like to see a good artist, not an aesthetic or a technique." She is currently doing a tour by Buenos Aires at Teatro Colon (I can tell you many stories about this wonderful not to miss place in my private tours) and also in Chile. The amazing Ludmila Pagliero, best ballet dancer of the world, born in Buenos Aires. 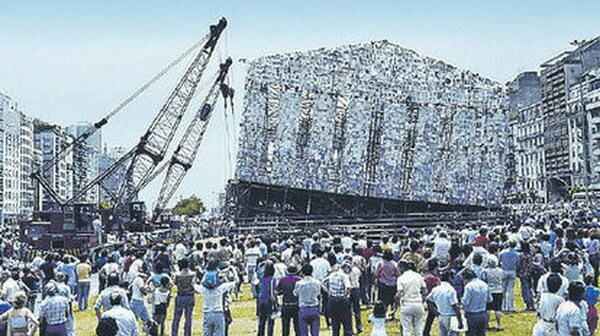 The Argentinean Queen of Pop Marta Minujin is reinstalling one of her most rousing masterpieces of Ephemeral Art, a Parthenon done with banned books which are or were forbidden all around the world. It will be a structure of the same size of the real Greek Parthenon, 100 by 230 feet. There will be 100,000 banned literary works from all around the world hooked up to be released and sent to the public. The exhibition will be part of the vanguards art exhibition Documenta in Kassel city, Germany. 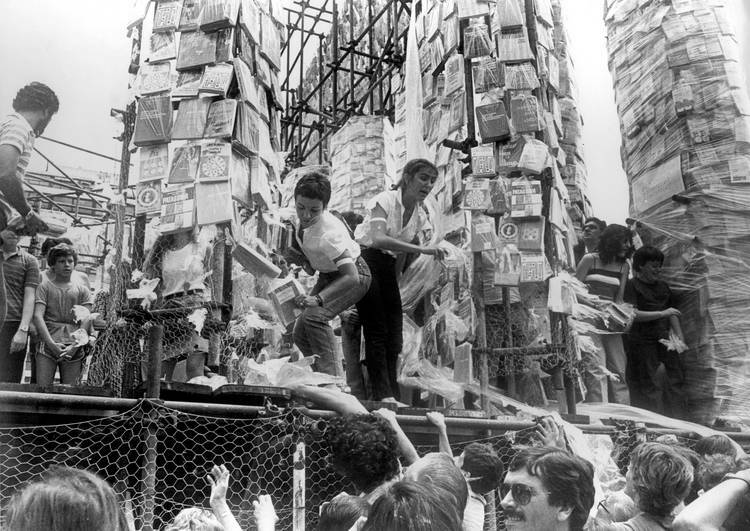 The accurate place of this Parthenon of banned books will be at the Friedrichsplatz square, where in May of 1933 the nazis burned thousands of "non-german" books. "The bad News is that there are 100.000 banned books around the world, the good News is that although that it is possible to still find them" said Adam Szymczik, the director of the exhibition. Marta Minujin started her first Parthenon even before the return of Democracy in Argentina. She obtained sponsorship of the structural scaffolding company and the banned books which were hidden in warehouses or buried in different properties of the printing houses. So, without money and without permission, the huge structure started to be done in the corner of two important avenues (the famous 9 de Julio Av where the Obelisk is, corner with Santa Fe Av, the main artery of Retiro, Recoleta and Palermo). In this link you can see the video of the first Parthenon. There are also recognized writers stating that they also burned their libraries because of fear. In the minute 5.30 you can see how the police which was burning books months ago where now hooking off the copies which were set higher in order to assist an avid audience. That was literally a shower of books. Minujin and many others put their lives in risk for doing this evanescent piece of Art, which become a sample of civilian resistance and the first monument of our Democracy.